Dental implants are the most natural way to replace missing teeth. Made of titanium, dental implants are designed to replace the root structure of missing teeth, providing support and stability for replacement teeth. Dental implants are the most natural way to replace missing teeth. Made of titanium, dental implants are designed to replace the root structure of missing teeth, providing support and stability for replacement teeth. They are the longest-lasting solution available. Please call Gahanna Office Phone Number (614) 471-6600 with questions or to make an appointment. Our patients tell us that there is very little to no discomfort associated with the placement of an implant, and there is minimal to no swelling. General anesthesia is available for those who choose not to be awake during the procedure. Yes! Your dental implant will feel, look, and operate just like your normal teeth. You will be eating all of the foods that you used to enjoy with your new, permanent tooth before you know it. In many cases, the implants are placed and have to heal for two months before placing the final tooth. However, everyone heals differently, so Dr. Fraser and our team will monitor your progress closely. We are 100% dedicated to the care we provide in our office. Will I have to continue to see the dentist after I have implants placed? Yes, you will need to continue to visit your dentist on a regular basis for hygiene. It is important to maintain your oral health. No, you are never too old. Patients over 90 years of age have replaced loose partials and full dentures with implant-supported restorations and the comment we hear most is “I wish I had done this sooner!” They are enjoying the benefits of easier chewing, speaking, and a better quality of life. I’ve lived with my dentures for years. Can’t I just get by with those? We all put up with a lot of things we don’t think will change or improve, but based on the remarks we’ve heard from past and present patients, dental implants have opened up a new world to them. It is also important to keep in mind that your jawbone will diminish over time without implants. Dental implants stimulate the bone as natural teeth do, thus keeping the bone healthy. Tooth loss leads to bone loss, which may require a more complicated treatment in the future. You will also have to continue to get your removable prosthesis or denture adjusted, relined, or even replaced from time to time. The attachments on a partial tug on adjacent teeth and your chewing ability will not be improved. In addition to that, there will be costs for future denture adhesives and cleaners. Your denture will cause you soreness and pain and may lead to a worsened condition as the jawbone deteriorates. How much will I be able to eat? Our patients tell us they’ve had tremendous improvements in their ability to chew foods and they are now able to chew and eat what they couldn’t before implant placement. Many options are available after implant placement, and they are tailored to your specific requirements. If you need a replacement tooth while the implants are healing, temporary removable teeth or a temporary bridge can be made. If all of your teeth are missing, we can usually modify your present complete denture or make you a new temporary denture. If you would prefer non-removable teeth during the healing phase, temporary transitional implants usually can be placed along with the permanent implants, and temporary teeth may be made and inserted the same day. Depending on your particular situation, some implants can be placed and “loaded” immediately. This means a temporary or permanent replacement tooth can be placed on, or shortly after, the day the implant is placed. Will I have to be without my teeth? You will not need to go without replacement teeth. A temporary prosthesis can be made for you. If your teeth were already missing, you may continue using your removable prosthesis with minor adjustments for your comfort during the healing period. Although it is natural to be concerned about the pain that may be caused by these procedures, most patients do not experience severe or significant post-operative pain. Pain medication and antibiotics will be prescribed for you to make your recovery as easy as possible. Occasionally, some people develop post-operative infections that require additional antibiotic treatment. Even though great care is taken to place the dental implant precisely, occasionally adjacent teeth are injured in the placement process. In addition, there is a chance that the nerve in the lower jaw, which provides sensation to your lower lip and chin, may be affected. If you are missing quite a lot of bone, it might be difficult to place an implant without infringing on the nerve space. Although we take great care to avoid this nerve, occasionally it is irritated during the procedure, resulting in tingling, numbness or a complete lack of sensation in your lip, chin or tongue. Usually these altered sensations will resolve within time, but they can be permanent and/or painful. If you notify us of post-operative numbness as soon as possible, it will allow us to manage your care in the most appropriate way. Typically, they last longer than conventional dental work, as long as you take care of them properly with daily cleaning, just like your natural teeth (flossing, brushing, etc.). 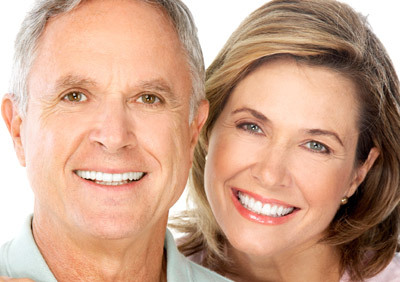 When properly maintained and good oral health exists, it is possible for implants to last a lifetime. However, if one of your dental implants either doesn’t heal properly or loosens after a period of time, you may need to have it removed. After the site heals (or on occasion at the time of removal), another implant usually can be placed. The implant process requires three specialists: a surgeon to place them, a restorative dentist to design the replacement teeth, and a laboratory to make them to the dentist’s prescription. Precise implant components are ordered specifically for your mouth. Much time and effort goes into planning and customizing every step to produce your missing teeth and preserve or reconstruct your jawbone, gum tissue, and teeth. This treatment is designed to last for many years, when properly maintained. Before treatment begins, every effort will be made to give you an accurate estimate of all the expenses involved in placing the implants and making your replacement teeth. In many cases, there is an initial charge for the diagnostic work-up, including study models, x-rays, and the fabrication of a surgical template to ensure the best possible result. In addition you will be charged for the abutment or support post(s), plus the crown, dentures, or anything else that will be placed over the dental implants, including temporary restorations. Periodic maintenance such as hygiene visits, tissue conditioners, denture relines and other repairs will also incur additional charges. Will my insurance cover my implants? As dental implants have become the standard of care, more insurance companies and policies are providing some coverage for these services. We have a professional team that will be more than happy to look into your specific policy for you and will process your claim submission as your services are rendered. For your convenience, we accept all major credit cards, cash, and checks. We also accept Care Credit which allows you to choose a payment plan that meets your needs without any hidden charges or fees. They offer several no-interest short-term as well as low- interest long-term payment options. It only takes you a moment to apply over the phone or online, and our office will handle the payment processing for you. Please contact our office for more information. For more information about dental implants or to schedule an appointment with Dr. Fraser, please call Northeast Oral Surgery at Gahanna Office Phone Number (614) 471-6600. Northeast Oral and Maxillofacial Surgery, Inc. is proud to offer the highest level of care to our community. A combination of the latest treatments and technologies and a genuine passion for patient care allow us to provide our patients with optimal experiences and results in our office every day. Whether you are here for aesthetic or health reasons, we welcome you to our practice.